We are pleased to announce the launch of a new Network Load Balancer for the Elastic Load Balancing service designed to handle millions of requests per second while maintaining ultra-low latencies. This new load balancer is optimized to handle volatile traffic patterns while using a single static IP address per Availability Zone. Network Load Balancer operates at the connection level (Layer 4), routing connections to Amazon EC2 instances and containers within Amazon Virtual Private Cloud (Amazon VPC) based on IP protocol data. It also preserves the client side source IP, allowing applications to see the IP address of the client that can then be used by applications for further processing. Network Load Balancer is integrated with several AWS services including Auto Scaling, AWS CloudFormation, Amazon EC2 Container Service (ECS), AWS CodeDeploy, and AWS Config. Network Load Balancer is available in all public AWS Regions except the China (Beijing) region. 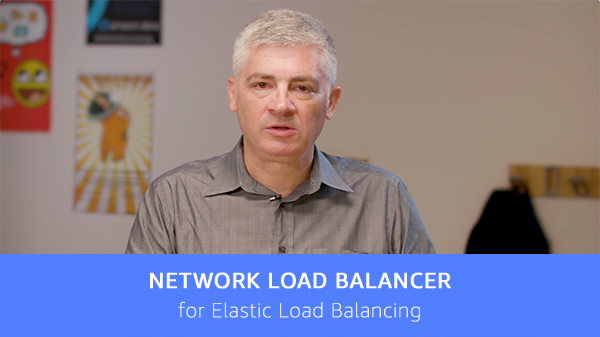 You can learn more about the new Network Load Balancer by reading the AWS blog and visiting Elastic Load Balancing.